We had a choir at school, first led by Mrs. Quinn and when she retired, Miss Pringle. We sang madrigals, ballads, traditional airs and bits of classical music by, among others, Rimsky Korsakov and Mozart. 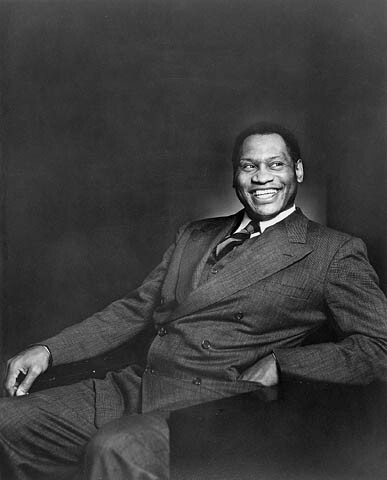 Paul Robeson. I had friends who studied piano and they played classical music but I had no great exposure to it other than the odd thing on the radio. Which was just as well. It unsettled me. I used to say that, if you wanted to derange me, all you needed was a dark room and a set of classical recordings. If they didn’t appeal to me, the conventions of theme and repetition set my teeth on edge. If they moved me, they moved me so much, it was frightening. The emotions they released were too big, great dark waves of feeling I didn’t understand. So, for many years, I avoided classical music. In autumn 2012, a friend asked me to go with him to a Sunday concert at the Wigmore Hall. I hesitated but one of the great things about being older is how perceptions change, clear, alter, have different shapes like rocks emerging from water in new light. And my friend said how much he enjoyed these concerts and he wanted to be able to share it with me. Bless him. It was an eye opener, with a string quartet. We went back again some months later to hear a pianist (Itamar Golan) who changed every idea I ever had about classical piano. Emboldened to try by myself, two years ago I watched the Vienna State Orchestra concert on New Year’s Day conducted by Daniel Barenboim. And putting aside the fact that the music wasn’t to my taste, if you can make The Blue Danube rise new to the ears above all the times you have heard it churned out so that you see the river in different weather, its moods, its beauty and its power – thank you musicians, thank you Maestro. 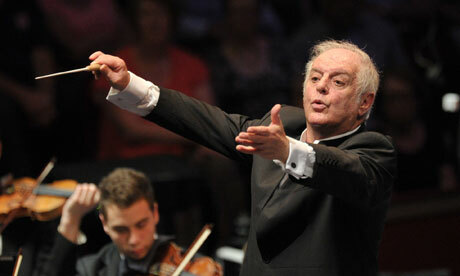 Sometime last summer I saw that Barenboim was conducting Beethoven with his East/West Diwani Orchestra on BBC4 and I thought, well … I could always switch off. Instead, I sat in the dark and laughed and cried and watched his right hand lead me into sensing, feeling, understanding as I never had before. The left hand did the tempo but the right hand was interpretive – and it was thrilling, being led into music. I felt as if I had begun to read another language. A famous British academic remarked that the world is full of readers and writers. I am a reader. It’s no good anyone telling you that you should or shouldn’t like a voice, and really falling in love with a voice, classical or otherwise, doesn’t happen very often but in dipping into a concert with Placido Domingo. I heard a voice. I saw a well-made woman in green with no attempt to look like a starlet or a pop star, dress down, hair up, and what a voice ! I raced for pencil and paper and sat, rapt, till she finished, to get her name – Joyce DiDonato – which I promptly Googled. Since then I have heard her sing in the first full length opera I have been to for 20 years or more (don’t get excited I can’t afford opera tickets – I saw a cinema link between the Curzon and the Royal Opera House). In the past I admired the skill, technique and the sheer strength needed to produce the sound: now I was watching a woman who made me believe she sang as naturally as she breathed. Music is very personal. My taste is wide, or no taste, depending on your point of view! In Greenwich Village when I was 19, we used to say the only thing wrong with folk music is the folk”. There are sounds and shapes that move and excite and others that don’t even jar – they are meaningless. The success of AA programme such as the one I watched on BBC4 about the development of classical music after WWI was the range of talking heads, composers, players, and the interested who communicated their interest. It has always been true that your imagination can be caught by anything if the speaker speaks to you. My ears are still where they were, on the side of my head, but open in a different way. How nice. Your tastes change as you get older and there’s so much to enjoy.